340 g/m2. 92% polyester, 8% elastane. 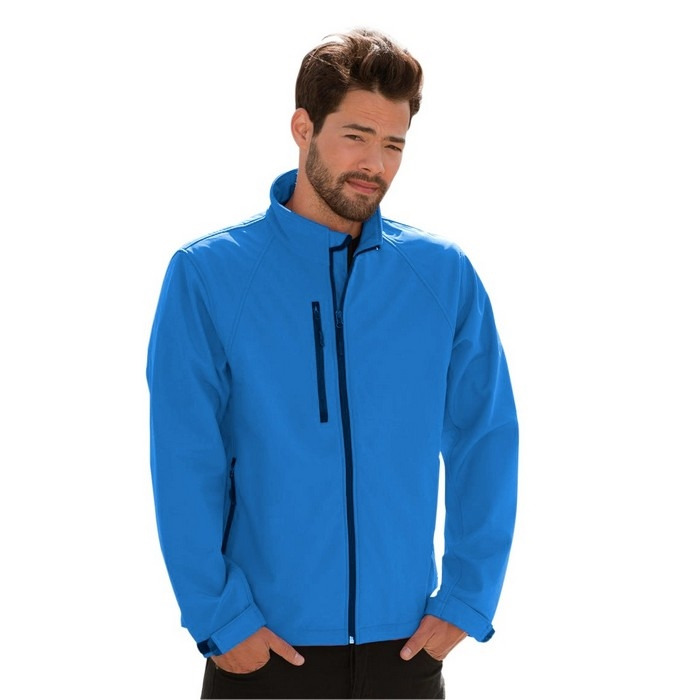 Lining: 100% polyester microfleece. 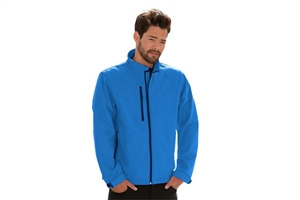 Breathable three-layered soft shell material. Windproof. Waterproof: 5,000 mm. Neck tape. Full-length zipper with chin guard. Raglan style decorative darts. Various pockets with zipper. Adjustable cuffs with tear release fastening. Draw cord waistband with stoppers. Longer back. Maksymalne pole znakowania: 80 x 80 mm. Możliwe techniki nadruku: haft, haft, haft, haft, transfer, transfer.